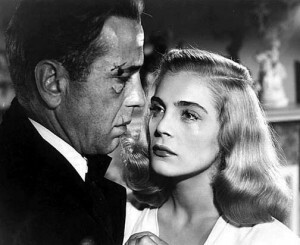 Lizabeth Scott looks a lot like Lauren Bacall. 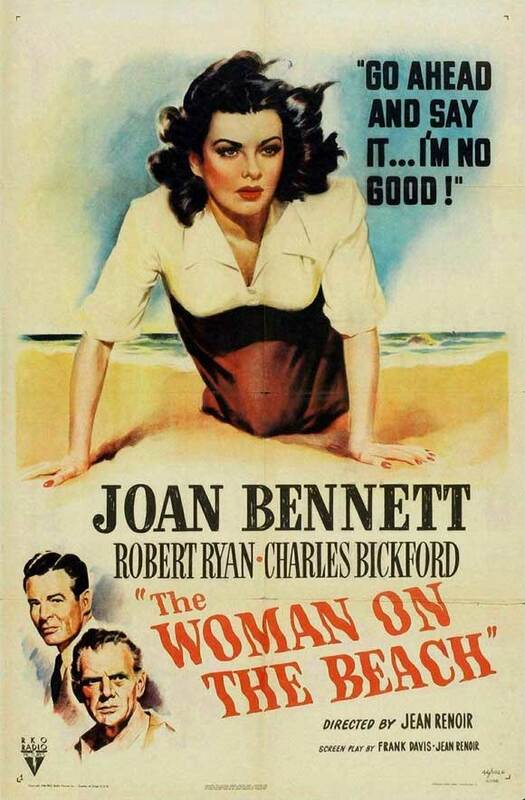 It’s hard not to compare her to Bacall even when she’s not acting opposite Humphrey Bogart. 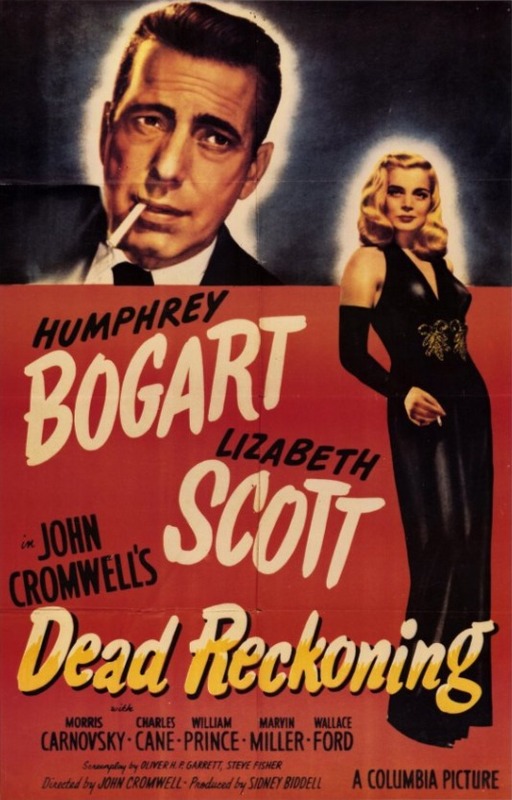 There’s a lot of that going around in John Cromwell’s Dead Reckoning, a film that isn’t as well known as some of Bogie’s other noirs, like The Maltese Falcon (1941) or The Big Sleep (1946), and which suffers in direct comparison with them. But taken purely on its own merits, it’s a tense, well-made picture, full of post-war desperation, but with little of the silliness of a lot of returning-vet noirs, like Somewhere in the Night (1946). Bogart plays a paratrooper, Capt. “Rip” Murdock, who was ordered to Washington, D.C., to receive the Distinguished Service Cross along with his buddy, Sgt. Johnny Drake, who was to receive the Congressional Medal of Honor. Before they could get there, Johnny hopped off the train and went on the lam before any newspaper reporters could snap his picture. Rip rolls through the microfiche in the Gulf City public library until he finds a newspaper article dated September 3, 1943, with the headline “Rich realtor slain.” The motive was jealousy — both men loved a woman named Coral Chandler — and Johnny confessed to the murder, but disappeared before he could be sentenced, and enlisted in the army under a false name. Rip finds a scrap of paper in his hotel room with a single word, “Geronimo,” scrawled on it. It’s from Johnny (it was what they always yelled before jumping out of planes), but the next time Rip sees Johnny, he’s a burnt-up corpse in a twisted car wreck. Rip tracks down the woman in the case, the beautiful and statuesque Coral “Dusty” Chandler (Lizabeth Scott), a singer in a Gulf City nightclub. The scene in which she sings “Either It’s Love or It Isn’t” under a spotlight to Rip at his table is memorable, though Scott’s lip synching is pretty awful. Rip calls her “Cinderella with a husky voice,” and they embark on a whirlwind love-hate romance. In many ways, Dead Reckoning feels like a pastiche of earlier Bogart film noirs. The loyalty to a dead man is straight out of The Maltese Falcon (“When a guy’s pal is killed he oughtta do something about it,” Rip says). A villain who rushes to open a door at the climax, only to be shot down, is straight out of The Big Sleep. And the film’s chief antagonists, the effete, cultured Martinelli (Morris Carnovsky) and his brutish, mildly brain-damaged henchman, Krause (Marvin Miller), are straight out of too many noirs to count. Dead Reckoning carves out its own misanthropic place in the noir pantheon with its doses of brutal violence, fiery finale, and Rip’s distrust of dames, which is nothing new for a noir, but which Dead Reckoning takes to new heights. Rip says things like “I don’t trust anybody, especially women” and “Didn’t I tell you all females are the same with their faces washed?” And his diatribe about how women should all be shrunk down to pocket size has to be heard to be believed. Dead Reckoning is full of memorable hard-boiled dialogue. Unfortunately, Scott can’t always pull it off the way Bogart can. The dialogue in film noir is often artificial, but it’s artificial in the same way as Shakespearean drama — it can express something more real than “naturalistic” dialogue can, but it takes a very talented actor to make it work. Bogart had his limitations as an actor, but he perfectly delivered every single line of dialogue in every single film noir in which he appeared. Dead Reckoning is no exception, and while it’s not the greatest film I’ve ever seen, it’s damned good, and I look forward to seeing it again some day. Posted in 1947, January 1947 and tagged Allen Rivkin, Charles Cane, Charles Jordan, Columbia Pictures, Dead Reckoning, Film Noir, Gene Havlick, George Chandler, Gerald Drayson Adams, Hugo Friedhofer, Humphrey Bogart, Jack Santoro, James Bell, John Cromwell, Leo Tover, Lizabeth Scott, Marlin Skiles, Marvin Miller, Matty Fain, Morris Carnovsky, Morris Stoloff, Oliver H.P. Garrett, Ruby Dandridge, Sidney Biddell, Steve Fisher, W.E. Lawrence, Wallace Ford, William Forrest, William Prince. Bookmark the permalink.